Posted by wesaday in Programming. Working working with embedded systems may occasionally require you to update the firmware the runs the system. 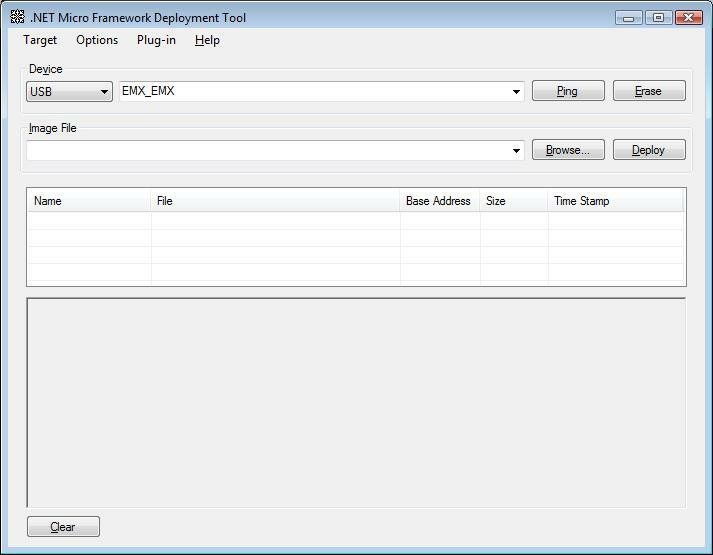 EMX takes advantage of the Midcrosoft Micro Framework .NET and being relatively new, the code tends to change fairly rapidly. When GHI Electronics distributes a new version of their SDK, you will probably want to update your system board to take advantage of bug fixes and new features. Plug the EMX into an available USB port on your computer. The New Hardware Wizard should start if this is the first time that you have plugged the board in. When Windows finally figures out that it doesn’t know what the drivers would be, direct the wizard to the installation directory for the GHI Electronics SDK, by default C:\Program Files\GHI Electronics\GHI NETMF v4.0 SDK\USB Drivers\GHI_NETMF_Interface. Once you have done that, you have to put the EMX into the correct mode to update the firmware. Hold down the Up and Select buttons on the development board and press the Reset button. 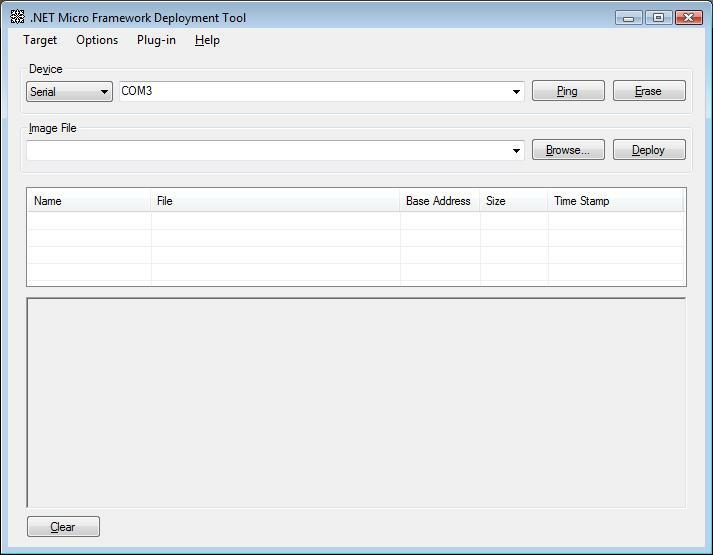 Run the MFDeploy too that was installed with the .NET Micro Framework, by default C:\Program Files\Microsoft .NET Micro Framework\v4.0\Tools. 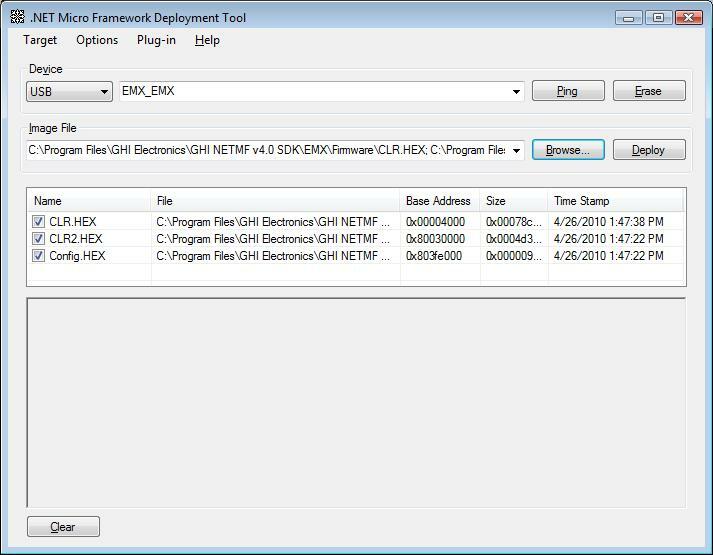 Then click the Browse button and browse to the firmware directory for the development board, by default C:\Program Files\GHI Electronics\GHI NETMF v4.0 SDK\EMX\Firmware, and select all of the .HEX files. Click the Deploy button and wait until it has finished doing its thing and you are done!